Doors at 9pm - 19+ w/ 2pcs. ID. FREE... FREE... FREE... Say What...!! 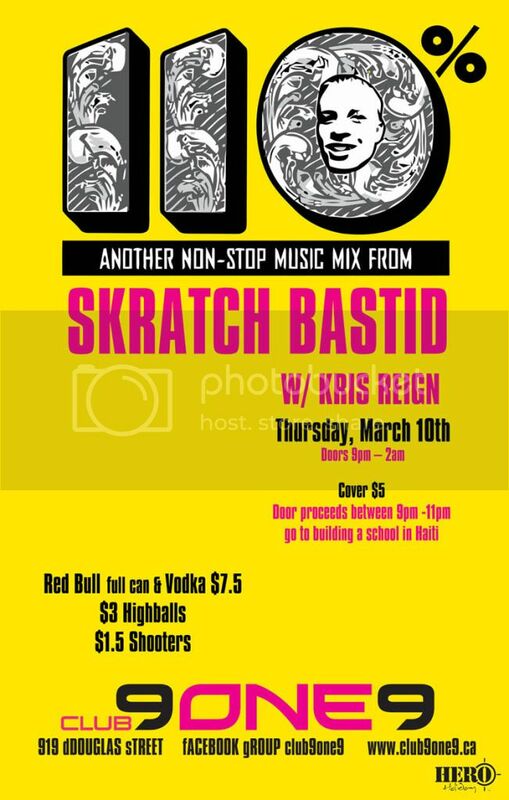 As I'm sure you know by now... Skratch Bastid is one of Canada's Very Best Party Rockin' Hip Hop DJ's and you can see him for FREE.... just email me degreeone (at) shaw (dot) ca and let me know your full name & how many in your party and I'll add you and your crew to my guestlist for FREE ENTRY.